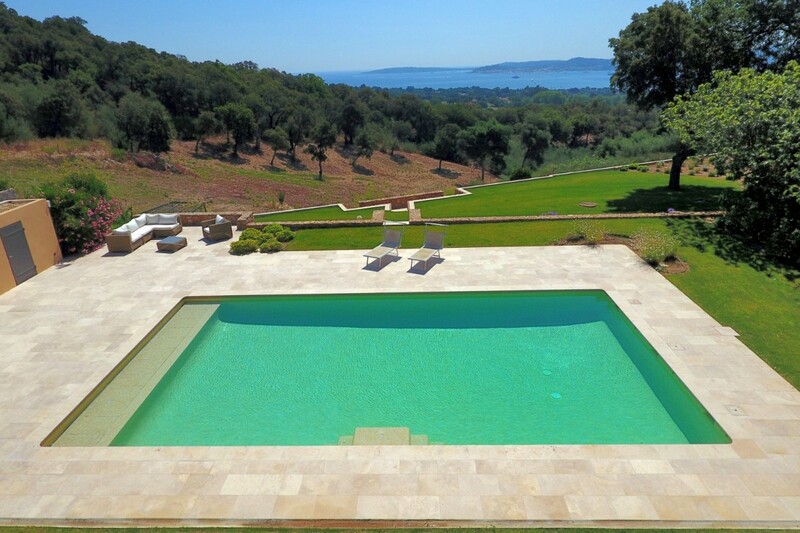 Villa Grimaud Heights Cote d'Azur. 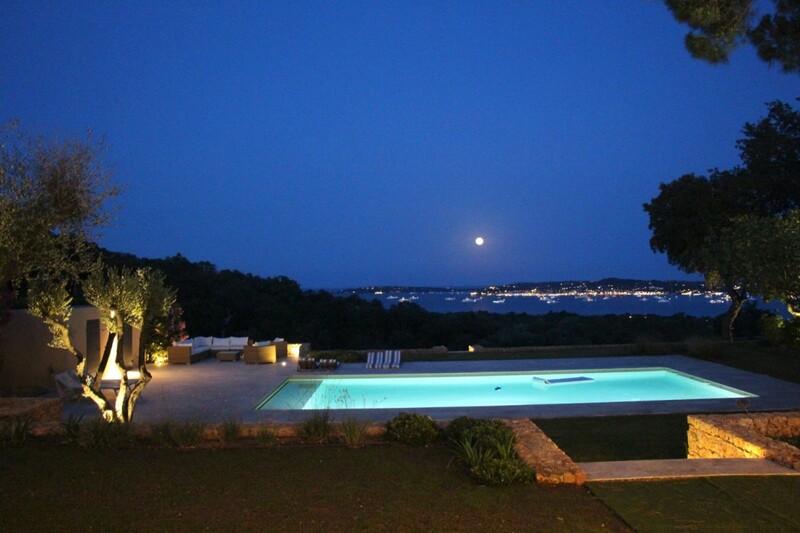 Offering truly unprecedented views, the brand new villa Grimaud Heights is a fantastic find. 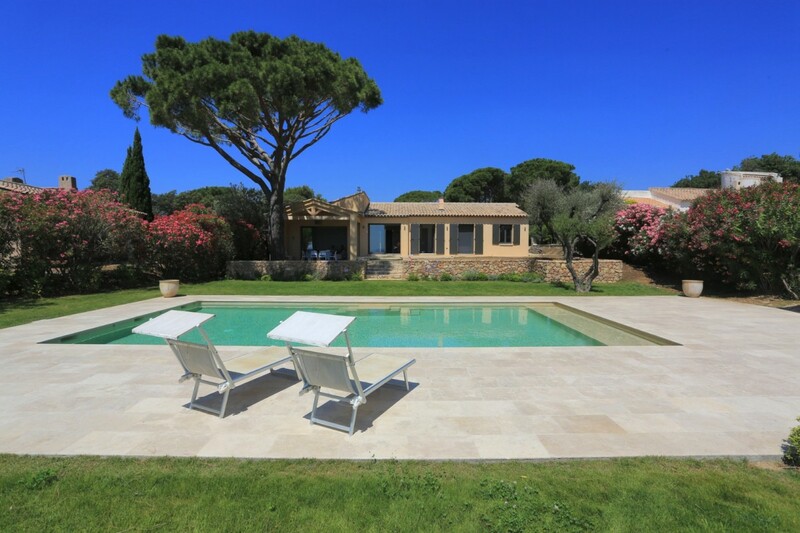 If you are headed to the Cote D'Azur and hope to stay in a place that is both private and quiet yet scenic and convenient, this four-bedroom gem is a wonderful option. 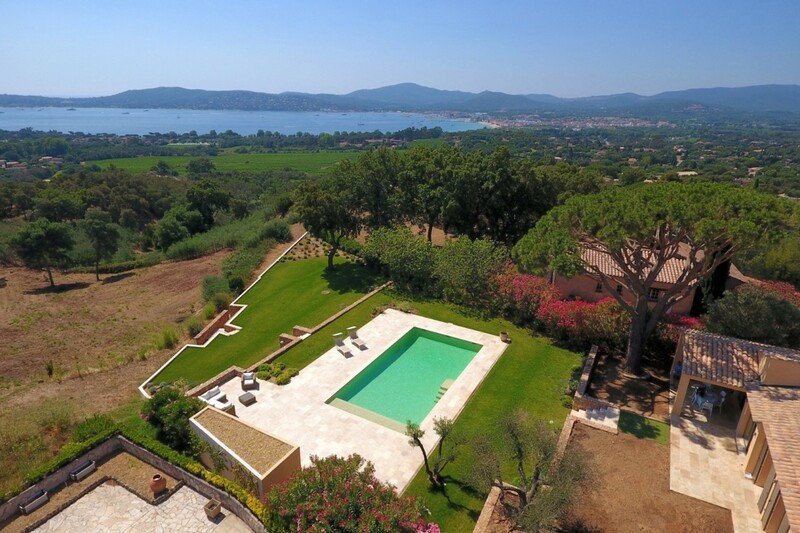 Just a few minutes by car to the shops, restaurants and delights of Saint Tropez, it is also tucked peacefully into the Grimaud area above the port. 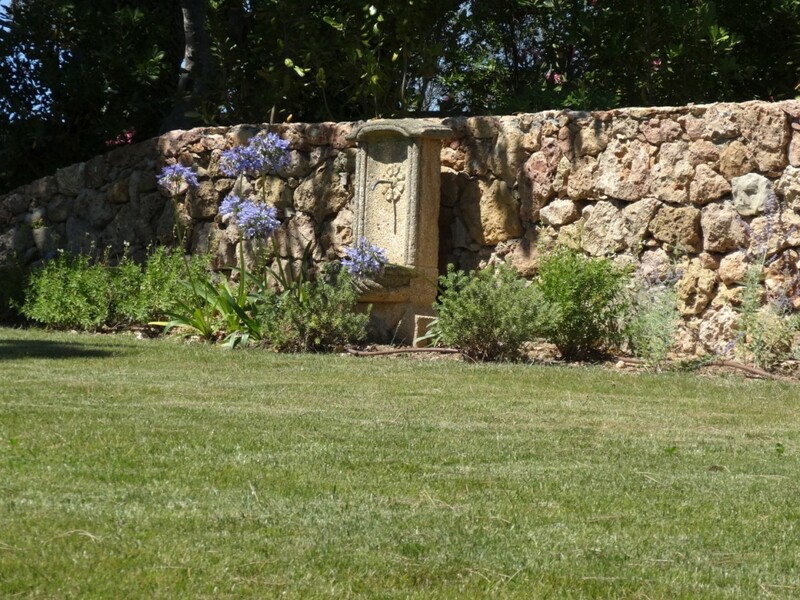 It features beautifully manicured gardens and grounds along with such fine amenities on the premises that it could easily become your only destination. 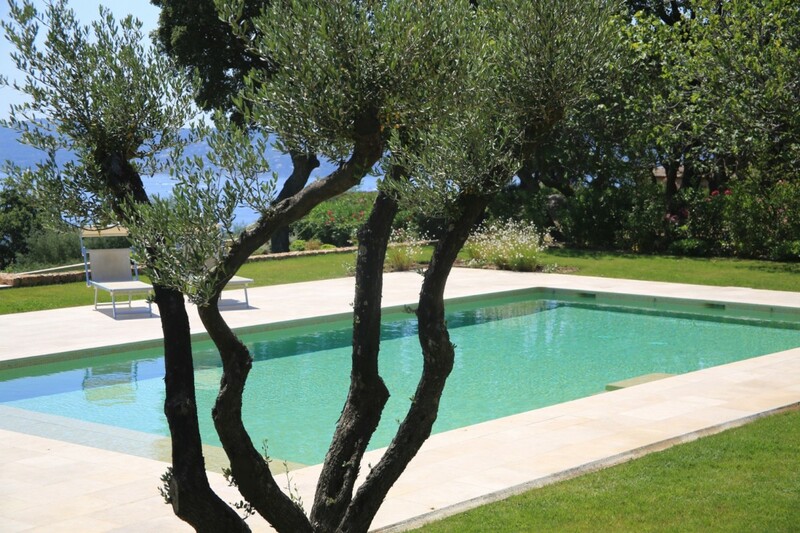 Most visitors are instantly drawn to the terrace area where the lovely pool sites like a gem sparkling in the Mediterranean sun. 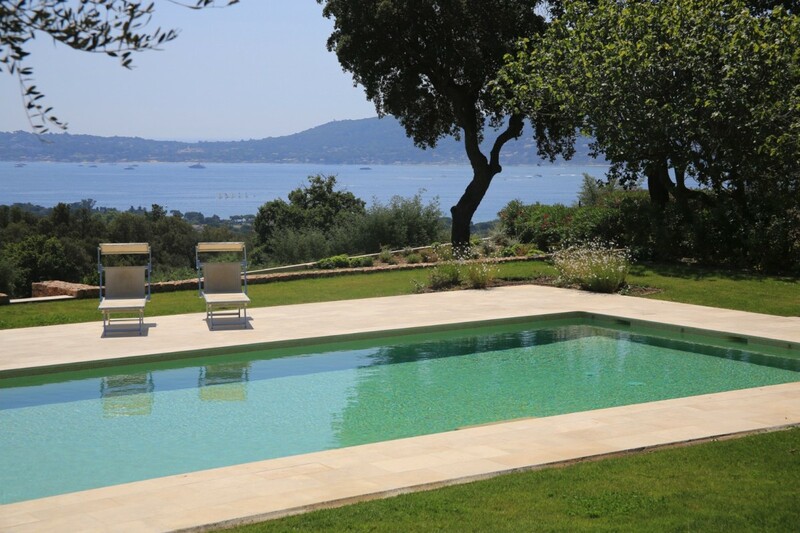 Surrounded by lush plantings, it also frames that amazing view down to the sea. 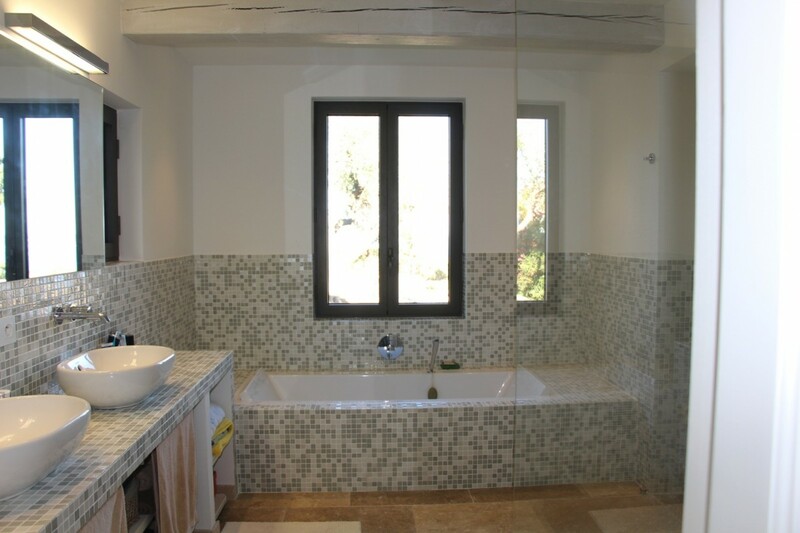 Stepped gardens descend to a small olive grove and an expanse of rolling hills below, ensuring your ongoing privacy. 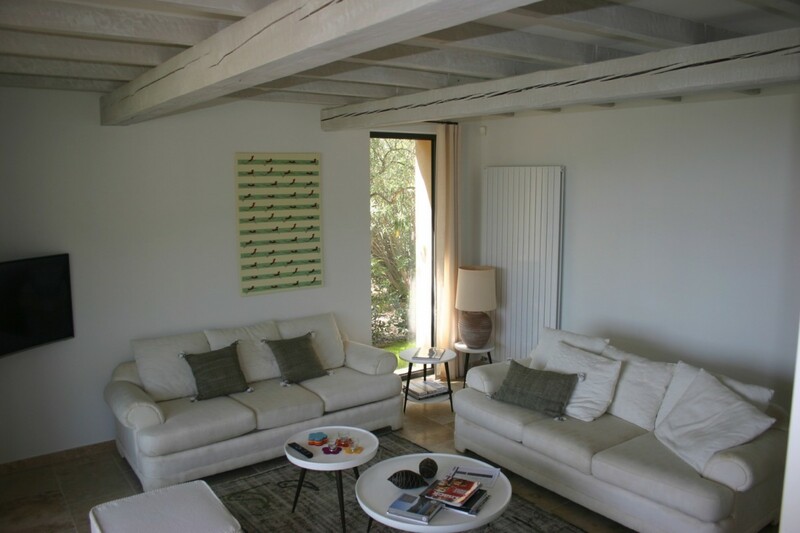 The interiors are a wonderfully chic and airy array of shared and private spaces. 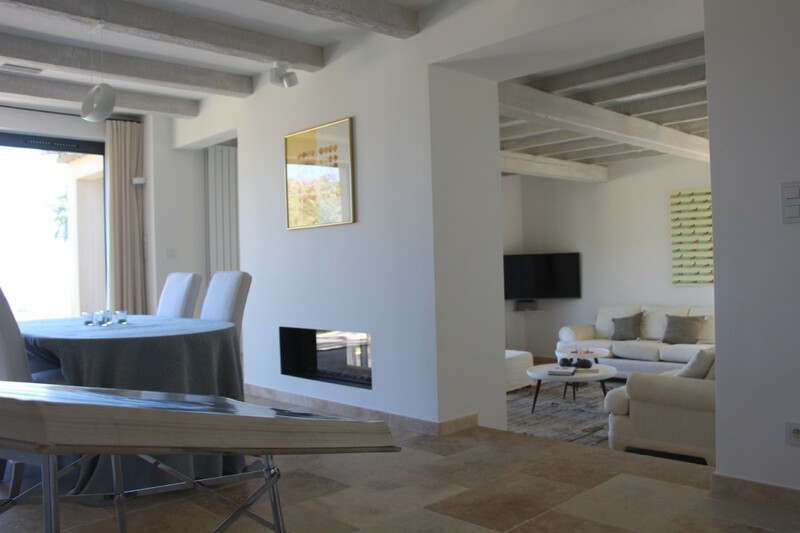 The living room is done in a neutral palette of sand and cream. 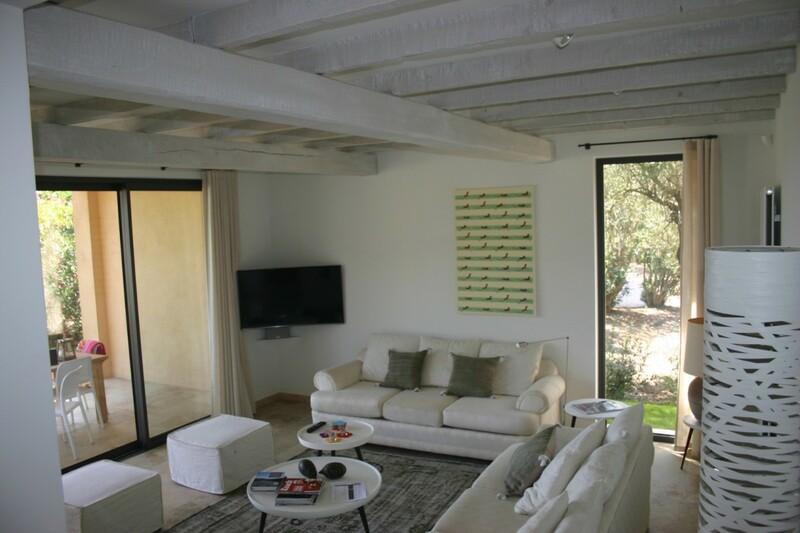 With high ceilings and classic whitewashed beams it immediately speaks of its Mediterranean setting. There are oversized furnishings and glass doors opening to the terrace. With an entertainment center and fireplace, it is a wonderful spot to lounge. 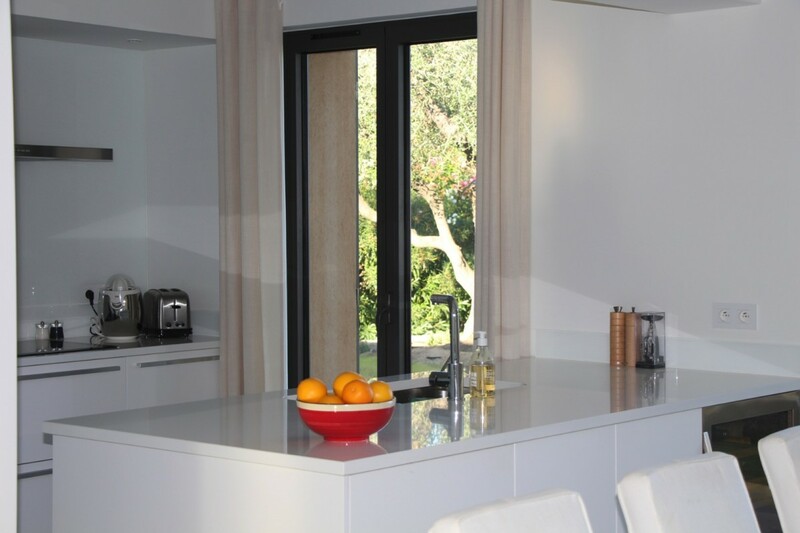 Nearby is the bright and cheerful dining room, also sharing the fireplace, and it opens into the wonderfully modern kitchen. 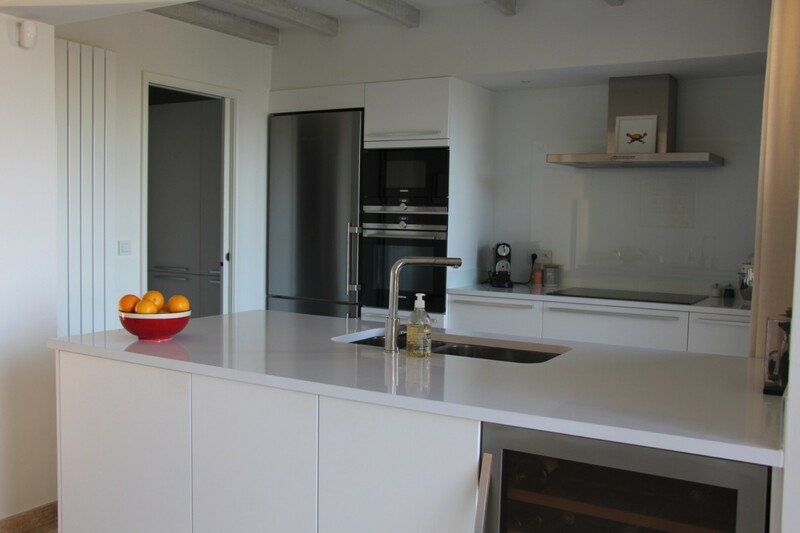 Stocked with the best appliances and gear, it opens to the garden and terrace and is a delight to use for meal prep and more. 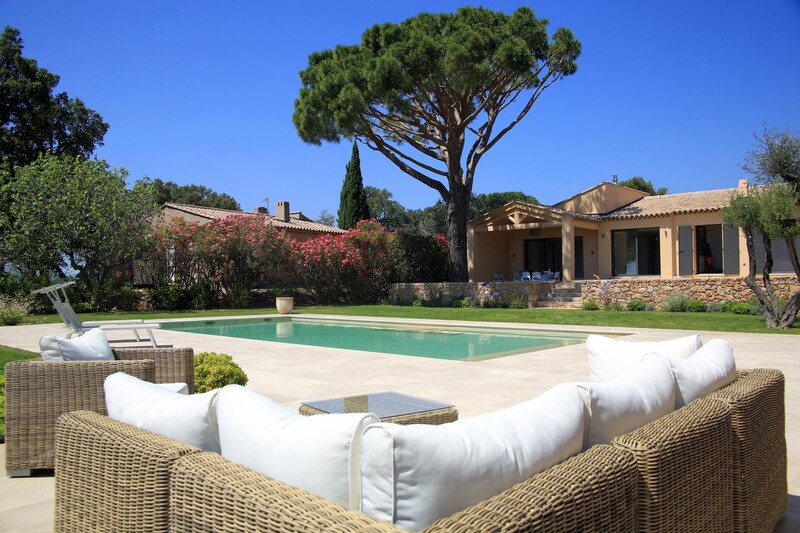 The four bedrooms include a master suite with king bed and garden access, a queen suite which also opens to the grounds and a second queen suite with garden access. There is also a dual twin suite. 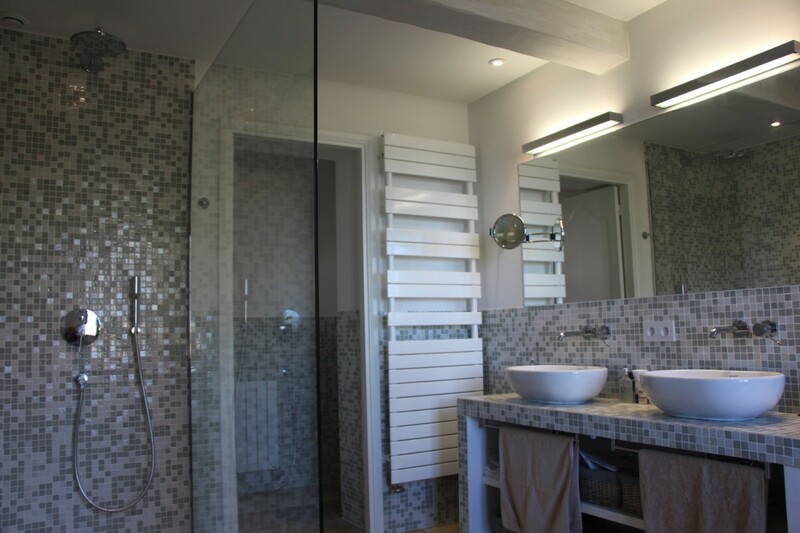 All are ensuite and feature large, premium baths. 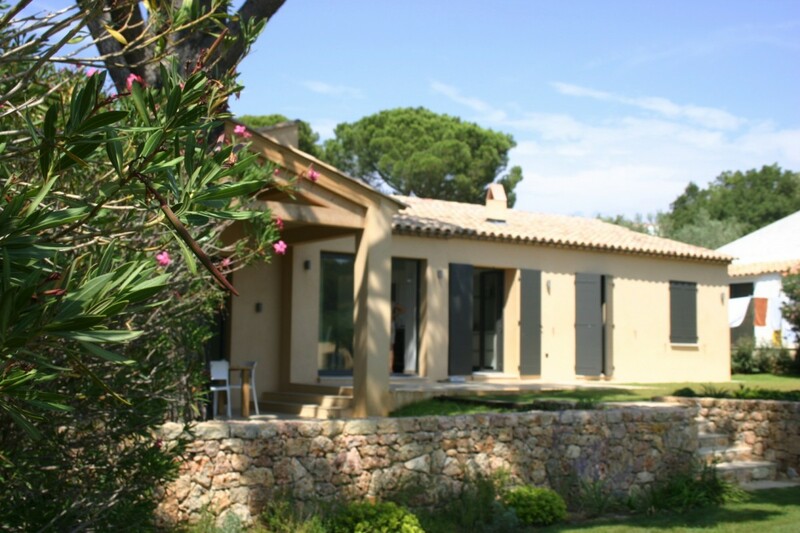 Ideal for your family or friends, the villa Grimaud Heights is a fantastic find. Maid service 3 hours 3 times per week payable locally. Bedroom 1: Master bedroom with a king-size bed, access to the garden and en-suite bathroom wiith bathtub, shower, vanity and wc. 2 guests maximum. 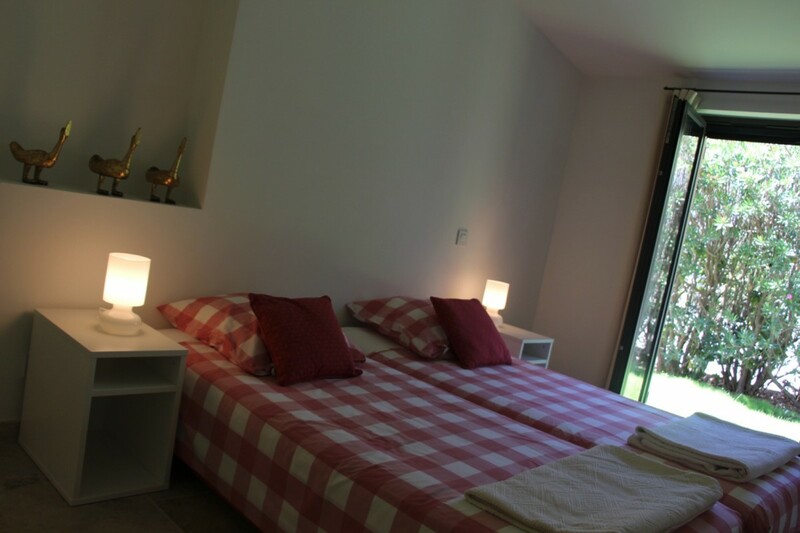 Bedroom 2: Bedroom with a queen-size bed, access to the garden and en-suite bathroom with shower, vanity and wc. 2 guests maximum. Bedroom 3: Bedroom with a queen-size bed, and access to garden. 2 guests maximum.